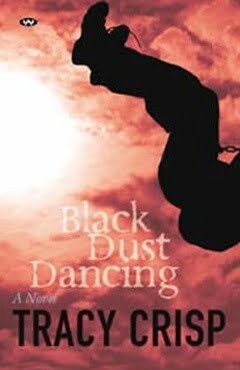 I have published two novels with Wakefield Press, Surrogate and Black Dust Dancing. I am working on my third with grant assistance from Arts SA. Tentatively called Blackout, it is set in the Adelaide airport on the night of our statewide power blackout. Good mothers don’t give up their babies … do they? Rachael Carter, a young nurse, is asked to house-sit by a colleague she barely knows. Dr Cate O’Reilly is travelling to Vietnam with her husband to adopt a baby. Before long the request has changed. The couple need a surrogate. Rachael sees an opportunity to leave her own troubles behind, but is soon caught up in new struggles, both sexual and psychological. She discovers that this couple will do anything to see their dream of a child fulfilled. Surrogate is a powerful story, beautifully told. Heidi knows there is something wrong with her son, but she is young and inexperienced and doesn’t know where to get help. Caro, her doctor and sister-in-law, has moved to the town looking for a way to redeem herself after the death of her husband. Heidi and Caro are separated by age, but share a restless yearning. Together they discover that the place they love is making their children sick.